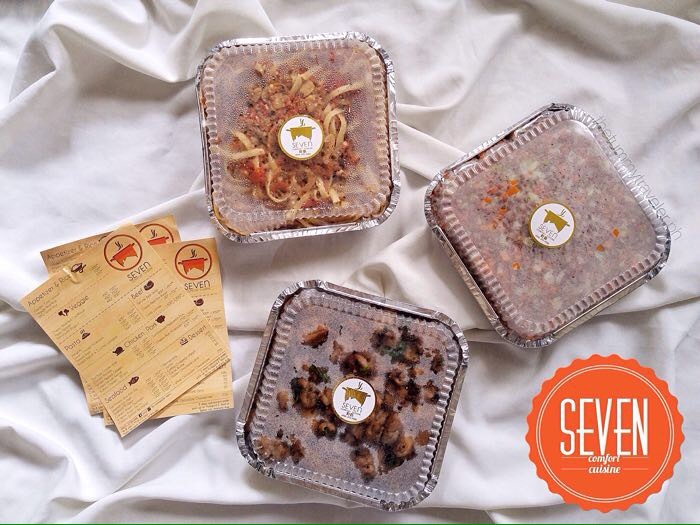 Seven Comfort Cuisine - Good food at the comforts of any home! Seven Comfort Cuisine – Good food at the comforts of any home! Why stress yourself out planning your menu for days or even weeks then end up being holed up in the kitchen prepping during the day of your gathering itself until your guests arrive? I was once like that because I love to serve guests my very own home cooked meals. It seems that cooking for huge get-togethers my take a backseat for the time being. The reason for that is because I discovered Seven Comfort Cuisine just recently and was not disappointed with their offerings. Seven Comfort Cuisine – Delicious and healthy! 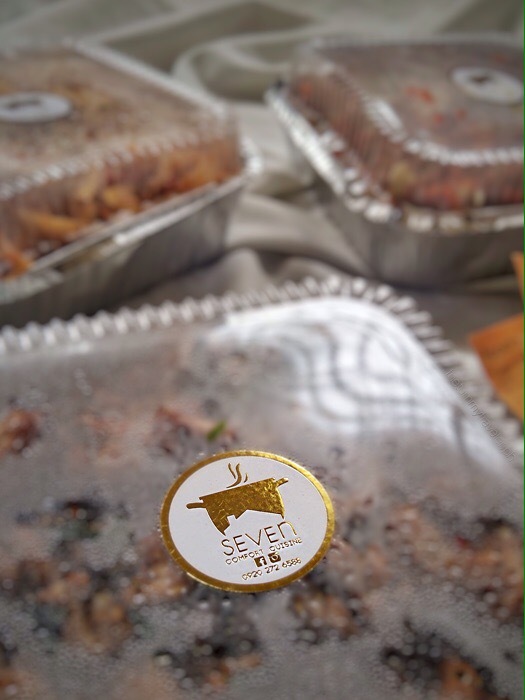 Seven Comfort Cuisine is a start-up food company that offers food/party trays serving healthy food choices. Why the name “SEVEN COMFORT CUISINE”? The partners decided to go for “SEVEN” because it’s actually a number that represents “completion” or “rest” in the Bible. Choosing Seven Comfort Cuisine to serve you great comfort food at the comforts of your own home allows the host some much needed “rest”. It actually makes sense, right? True enough, when the party trays were delivered to our place, all I needed to do was relax. Everything was taken care of. 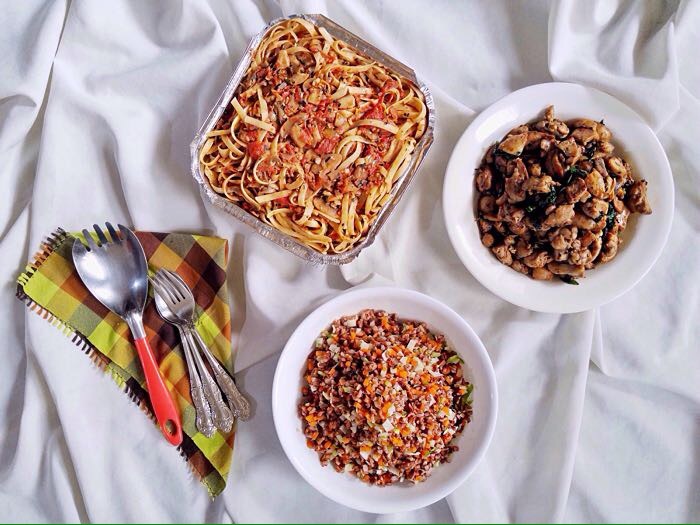 My family and I have tried their Veggie Red Rice, Tomato Basil Pasta and Thai Basil Chicken in medium trays that can serve 6-8 persons. The noodles were firm to the bite with a generous amount of ingredients. This alone satisfied me already. This Thai classic is very flavorful. 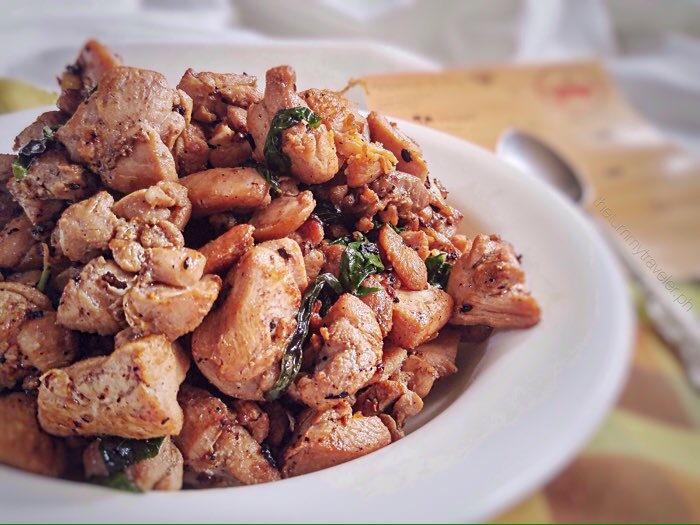 Bite sized chicken pieces with whole basil leaves, giving the dish that unique peppery taste, making it go really well with the red rice. 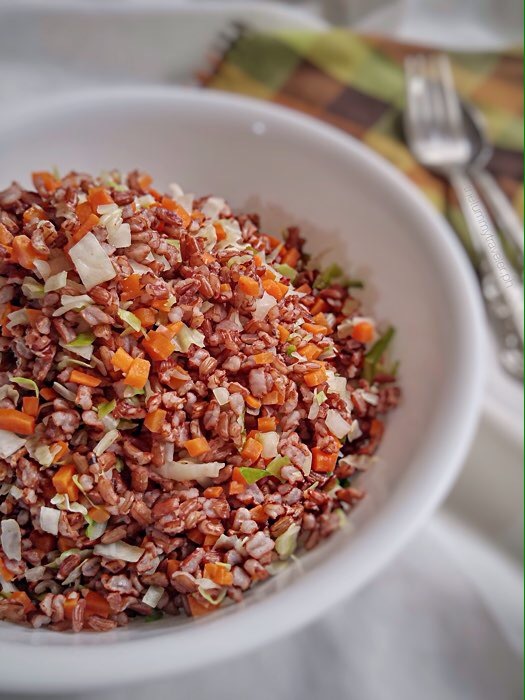 This rice is packed with bits of veggies making it healthier to eat and visually appealing, too. If you have picky kids, let them try this. So guys, next time you’re throwing a party at home or bringing food to your potluck gathering, I highly recommend you try out Seven Comfort Cuisine. You get more bang for your buck, plus healthy & flavorful dishes using freshly prepared quality ingredients. Bite into a new beat with BonChon Soy Garlic Chicken! Orell’s Banana Thins – Unlike any banana chip you’ve ever had! 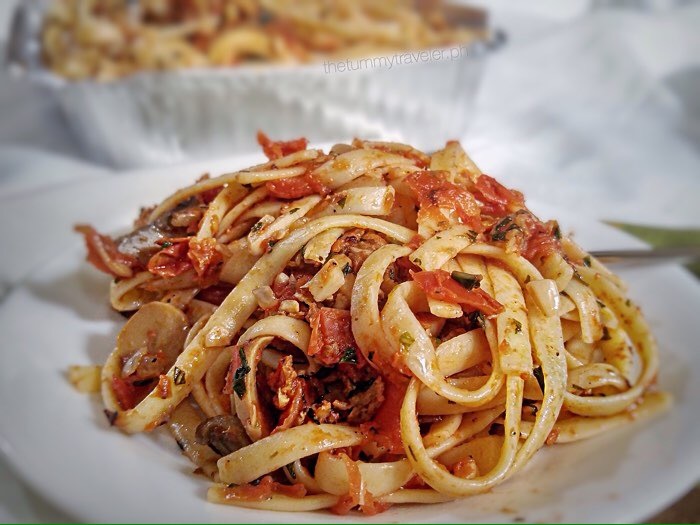 You are Here >> Home » Food » Seven Comfort Cuisine – Good food at the comforts of any home!